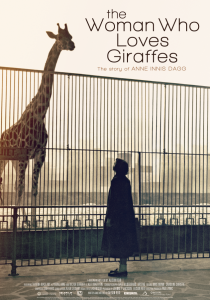 Cambridge University Press is pleased to announce that the stunning new documentary from Canada THE WOMAN WHO LOVES GIRAFFES, which describes the work of Anne Innis Dagg, PhD, author of our book Giraffe: Biology, Behaviour and Conservation. 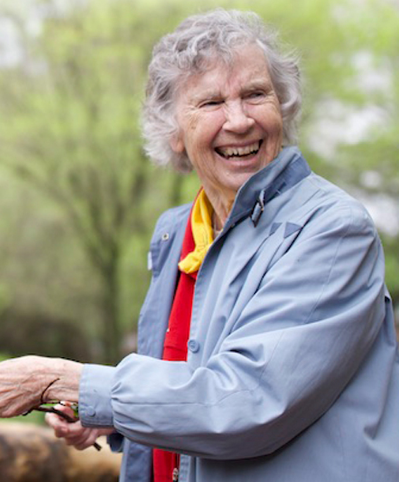 Anne was the first person to study giraffes in the wild in Africa in the 1950’s and is now considered the world’s first ‘giraffologist’. When I was asked in 2012 by Cambridge University Press to write an update of our previous book on this amazing animal, my co-author was busy on another endeavor. I would have to be the sole author. Had I been asked to do this two years earlier, I would have had to refuse. Our previous book had been published in America in 1976, thirty-six years earlier. I hadn’t seen any giraffe in the wild since that time, nor did I know of any people studying wild giraffe. These were obviously huge challenges. Fortunately, I had been invited to a conference of giraffe people in 2010 where I was thrilled to be awarded “The Anne Dagg Pioneer Award” for giraffes, in recognition of my much earlier 1956-7 pioneering observations on these animals living in the bushveld area of South Africa. Prior to this conference I was not connected to the current researchers, biologists and ‘giraffe conservationists’ working in Africa. At the conference I found out many were still using my early book as their ‘bible’ on giraffe behaviour and biology. This was an amazing group of people, as captivated with giraffe as I was. Those currently in the field were incredibly generous in sharing their new information about their giraffes. They also invited me to travel to two more ‘Giraffe Indabas’, one in Kenya and the other in South Africa. It was wonderful to see giraffes again in the wild and update my knowledge first hand. 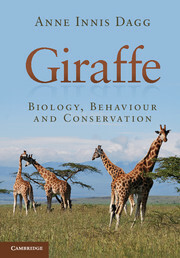 The kindness of the giraffe community in sharing their cutting edge research about these wonderful animals enabled me to write my book, Giraffe: Biology, Behaviour and Conservation. 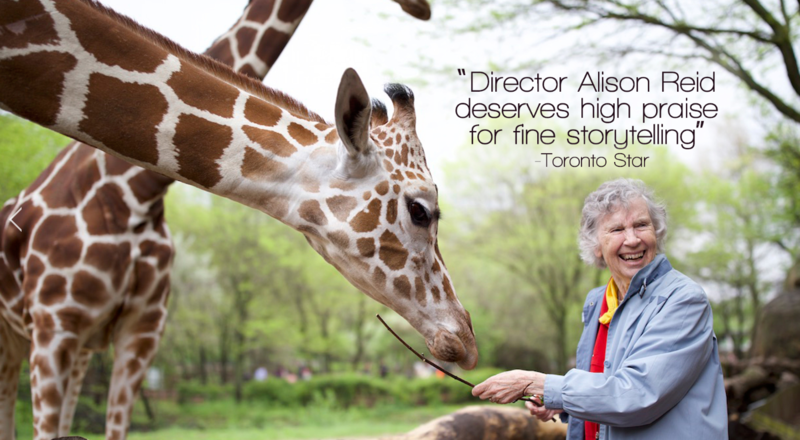 You will meet some of these passionate people in THE WOMAN WHO LOVES GIRAFFES. 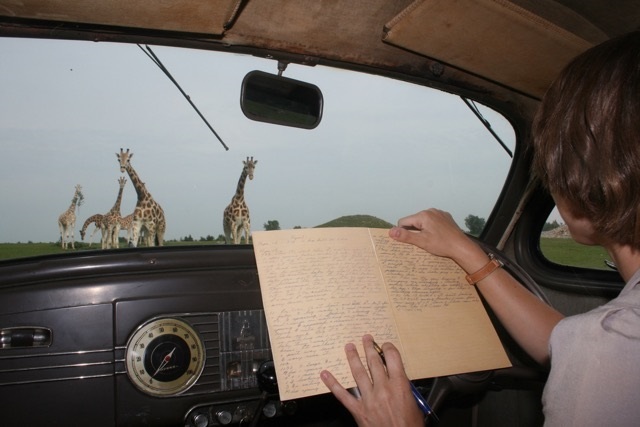 Their conservation message is an important addition to this new ‘bible’ on giraffes. My reintroduction to the world of giraffes over the last eight years made me realize how vulnerable giraffes are now to extinction. With fewer than 100,000 giraffes in the wild now, they are in far worse conservation shape than elephants or chimpanzees, yet world awareness of this fact is not great. In fact the IUCN status was very outdated and some zoos were still calling them a ‘species of least concern’. This concerned me greatly and I knew I had to do something that would have impact. I participated with other scientists in the campaign to have the giraffe’s status officially updated in the IUCN Red List of Threatened Species. That resulted in their status being upgraded from ‘a species of least concern’ to ‘vulnerable to extinction’ in 2016. This is a critical change. I am very pleased that the filmmakers were keen to weave my personal giraffe conservation message into the film about my life’s work. In fact, it is the main reason I wanted to do the film. If you would like to know more and want to make a difference to help giraffes, please check out the movie trailer and look at the facts and the conservation organizations I support in the TAKE ACTION section of our website. You can also contact us through the website, if you would like to see the film. Thanks for helping giraffes.